75224-RB is rated 4.2 out of 5 by 9. Complete the look of your bath with this Victorian 24" Double Towel Bar. Delta makes installation a breeze for the weekend DIYer by including all mounting hardware and easy-to-understand installation instructions. You can install with confidence, knowing that Delta backs its bath hardware with a Lifetime Limited Warranty. 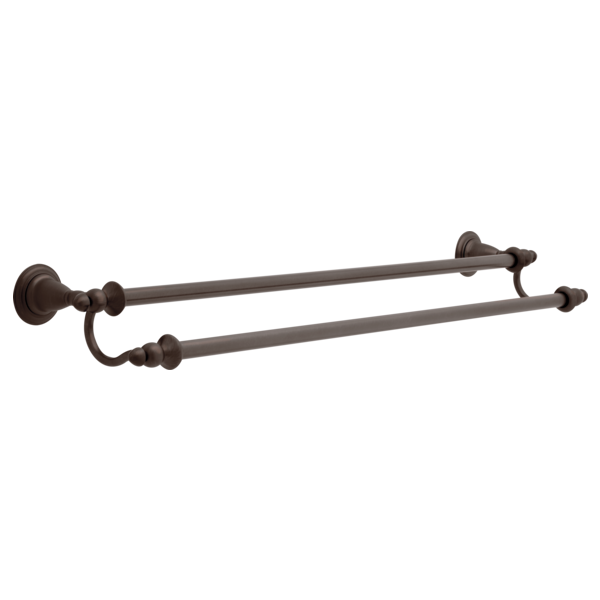 Rated 5 out of 5 by carol126 from Love Delta's Victorian double towel bar! 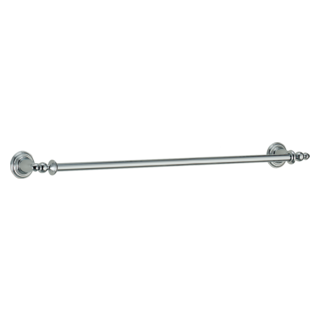 We ordered this double towel bar as a part of our master bathroom renovation. 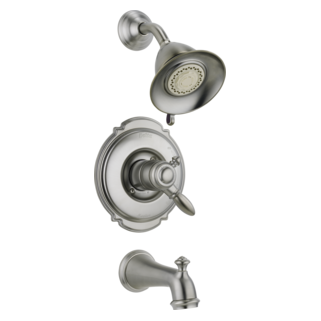 Since we chose Delta's Victorian fixtures for the shower and vanities, we wanted all the accessories (towel bar, hooks, towel rings, paper holder, etc) to also match. We only had room for one towel bar, so the double bar was the natural choice. 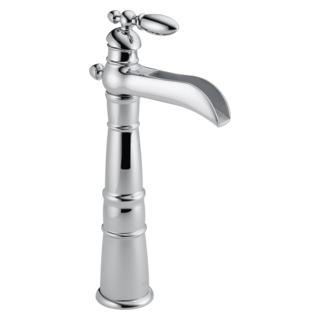 It is beautifully crafted, very substantial and will be displayed and well used on a prominent wall in our bathroom. I would send pictures if I could. Unfortunately, we are still under construction so the towel bar hasn't been installed yet. Rated 5 out of 5 by Potomac from Best choice Bought both 18" single and 24" double towel bars for newly renovated guest bath. Installation easy and appearance just what wife wanted. Quality tested within one week when wife lost balance on scale and grabbed double bar while falling to floor. Fortunately, she only suffered embarresment but ripped towel bar off wall. First inspection indicated end piece bent and required replacement. Second inspection revealed problem could be fixed by simple screw adjustment. Conclusion - top quality product! Can't say the same for the wall and holes. Rated 5 out of 5 by pleasedinvt from Improved Design We had to replace the original towel rack that we had purchased. We wanted to utilize the same rack as it matches the victorian series, faucets, towel holder, etc., when we installed the new bathroom. The new towel rack had a much better mechanical design than the original. Very pleased. Thank you. Rated 5 out of 5 by thriftyshopper from Victorian Towel Bar I was very happy with this towel bar. Much better quality then you find in the local hardware store. You might consider whether this towel bar is too wide for your bathroom before you purchase it. We have a narrow bathroom and it is too wide. I will be using it in a different bathroom. Rated 5 out of 5 by timm from great victorian look This towel bar is great, other review said it fell apart, so I was hesitant to buy it. The directions tell you how to tighten the bars & I haven't had any such problem. Elegant towel bar. Your spec sheet on the Victorian double towel bar lists a 30 inch version? Is it still available in Venetian Bronze? We have delta porter fixtures in our bathroom. We would like to buy double towel bars that match. Our towel rack has broke from the wall and needs replacement parts. How can I access them?